Bruno Zumino, professor emeritus of physics at the University of California, Berkeley, was best known for developing supersymmetry, a theory now considered as a leading candidate for explaining the fundamental forces of nature. He died on June 21, 2014, at his home in Berkeley, California, at the age of 91. Supersymmetry (SUSY) was developed in the early 1970s at the European Center for Nuclear Research (CERN) in Geneva, Switzerland by Zumino and Australian theoretical physicist Julius Wess. SUSY was conceived to explain particle interactions involving three of the four main forces in nature – the strong, electromagnetic and weak forces. One consequence of the theory is that every particle we see today has a supersymmetric partner. The quark has an associated squark, for example, while the electron has a selectron. Zumino and Stanley Deser, and separately Dan Freedman, Sergio Ferrara and Peter Van Nieuwenhuizen, later extended the so-called “Wess-Zumino model” of supersymmetry to include gravity, creating a theory called supergravity. To date, none of these superpartners has been detected. CERN's Large Hadron Collider, which in 2012 produced evidence for the Higgs boson, a particle that endows the rest of matter with mass, is now looking for heavier particles that would be evidence of supersymmetry. Scientists even hold out hope that one of the superpartners will be the elusive dark matter particle that, despite making up one-quarter of the mass of the universe, has so far gone undetected. “Supersymmetry is so beautiful and suggestive that most of us think it has got to show up sometime in nature, although so far it hasn't,” said Zumino’s friend and colleague Steven Weinberg, a physics professor at the University of Texas, Austin, and the 1979 Nobel Laureate in physics and the author of a major treatise on supersymmetry. Zumino was one of the first theoreticians in the 1960s and '70s to focus on symmetries in nature and what they might tell us about the fundamental laws of nature. Symmetries are all around us. Circles are rotationally symmetric because they look the same when rotated. Physical laws, according to Einstein's theory of special relativity, are the same whether you are standing still or moving at a constant velocity. Zumino was seeking a mathematical description of forces that would improve on the Standard Model, which precisely describes strong and electromagnetic interactions, by including weak interactions like those involved in the decay of radioactive nuclei. “I think Bruno understood earlier than most people how important symmetry was going to be in the development of physics,” Weinberg said. Weinberg chose as one of Zumino's important contributions his focus on the importance of broken symmetry, that is, “when a symmetry of the underlying equations is not reflected in the physical world,” and the real-world implications of symmetry breaking. The Higgs boson, for example, is a byproduct of physical processes that break symmetry between the weak and electromagnetic forces. Zumino was born April 28, 1923, in Rome, Italy. He obtained his DSc degree from the University of Rome in 1945, and eventually moved to New York University in 1951, first as a research associate and later as an assistant professor and profess in the Department of Physics. In 1968 he joined CERN as a senior researcher. 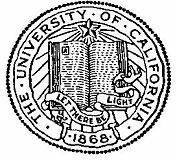 He remained there until 1981, when he moved to Berkeley with his wife, Mary K. Gaillard, who had been hired as the first tenured woman professor in the UC Berkeley physics department. He took a cut in salary to accompany her, Gaillard said. Zumino remained a member of the UC Berkeley physics faculty from 1981 until his retirement in 1994, and continued to be active in the department until early last year, when his health began to fail. Throughout his career, he pioneered new mathematical tools to explain the forces of nature, many of which have had tremendous theoretical ramifications. Zumino and Julius Wess introduced ideas from geometry and topology into the particle physics that underlie the modern treatment of anomalies in field theory, for example. Zumino was a leader in the application of modern geometrical ideas. In recent years, he collaborated with Gaillard on pioneering work about duality, a concept that underlies many of the most exciting developments in string theory that were produced throughout the past couple of decades. “Bruno was just perpetually young, in terms of his way of thinking,” Hall said. Zumino’s honors include membership in the National Academy of Sciences and fellowship in the American Academy of Arts and Sciences and the American Physical Society. 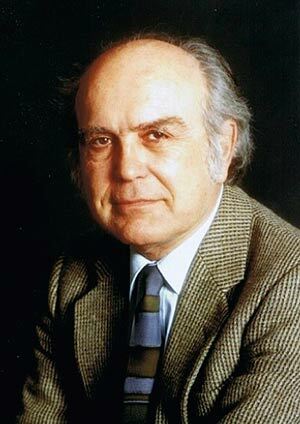 He received numerous awards, including the 1987 Dirac Prize, 1988 Dannie Heineman Prize for Mathematical Physics, 1989 Max Planck medal, 1992 Wigner medal, 1992 Humboldt Research Award, 1999 Gian Carlo Wick Commemorative Gold Medal and the 2005 Enrico Fermi Prize of the Italian Physical Society. Zumino is survived by his wife and three stepchildren: Alain Gaillard of Strasbourg, France; Dominique Gaillard of Seattle, Wash.; and Bruno Gaillard of Piedmont, Calif.